The Ambassador of Uzbekistan to Belgium Dilyor Khakimov has met with Secretary General of the World Customs Organization (WTO) Kunio Mikuriya in Brussels, UzDaily.uz reported. The head of the organization emphasized that the world community has been following with great attention the large-scale reforms carried out under the leadership of the President of Uzbekistan Shavkat Mirziyoyev in recent years, and in this sense the World Customs Organization sees a positive trend directed towards the openness of borders, acquisition of access to the market of Uzbekistan and strengthening of trade and economic relations with neighboring countries in Central Asia region. 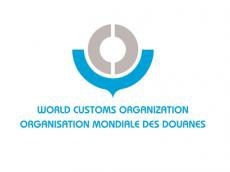 It was emphasized that the World Customs Organization welcomes Uzbekistan’s efforts to join the World Trade Organization and is ready to provide support and assistance to the country, given that many issues are closely interrelated with the World Customs Organization during the accession process of the candidate country. The Secretary General stressed that the accession of the country to the WTO will contribute to the integration of the Uzbek national economy into the global trading system, will make Uzbek goods more competitive, and along with that they will gain wide access to the consumer.